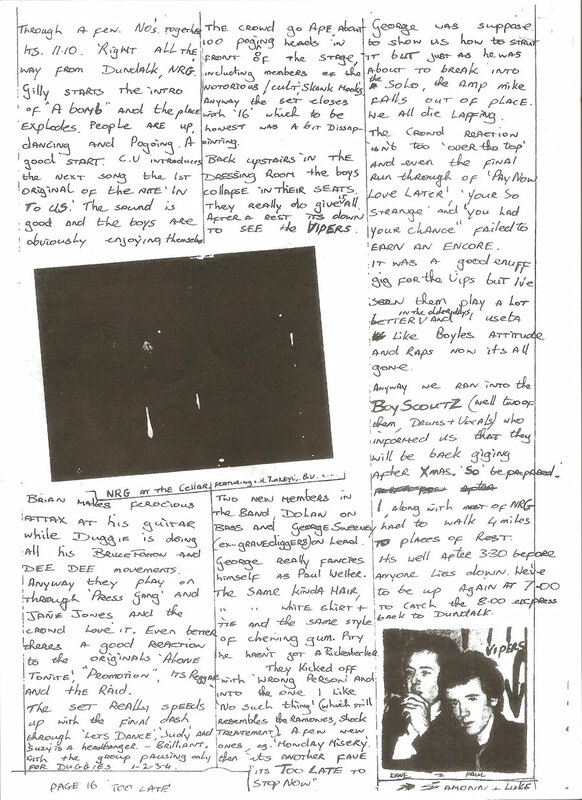 The first issue of Dundalk fanzine Too Late issued in December 1978. 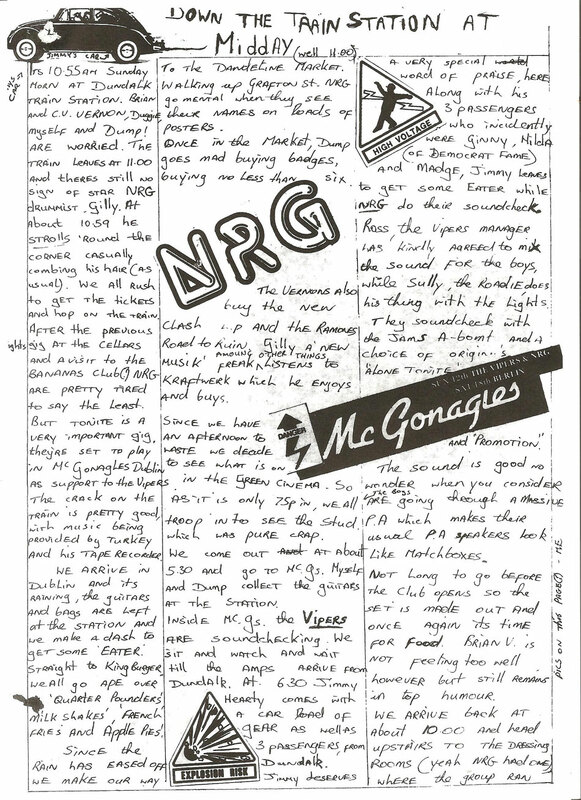 Twenty hand written pages for 30p… and no adverts. This is when “cut ‘n’ paste” meant exactly that, with scissors and glue; none of your click-click lark. Before “Dump” (Paul Duffy) died he reminded me of this adventure, which sadly I had forgotten, I had thought. Being “ill”(a 1/4 pounder headache), the Vipers gig! What times!! I had however forgotten that Jimmy Hearty brought the gear! Brian, I had forgotten that Paul Duffy (Dump) RIP came with us for that gig.